How adorable! These 24 vinyl baby girl duckies are dressed in pink and make darling favors for a shower! 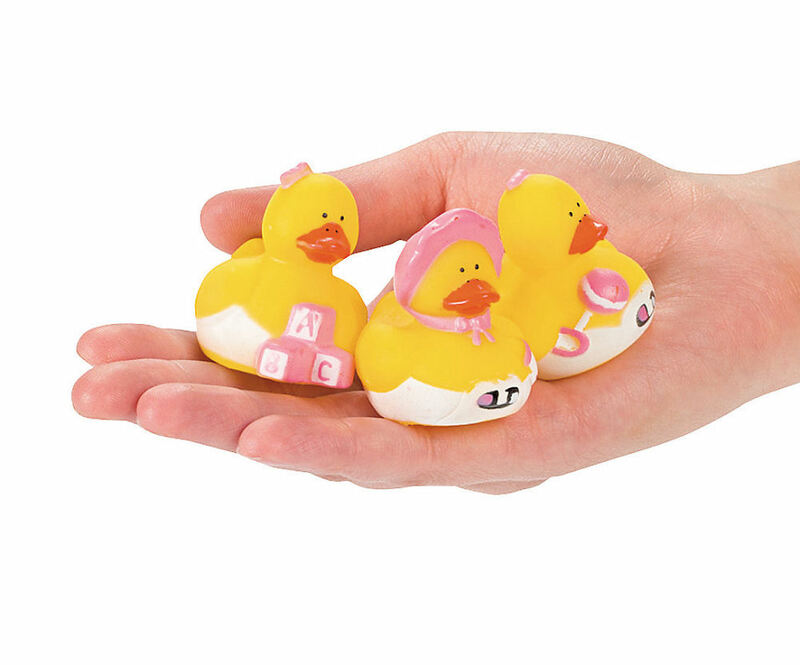 You can also use Mini Baby Girl Shower Rubber Duckies as baby shower decorations by scattering them on tabletops, placing them baskets, etc. Randomly assorted. Vinyl. 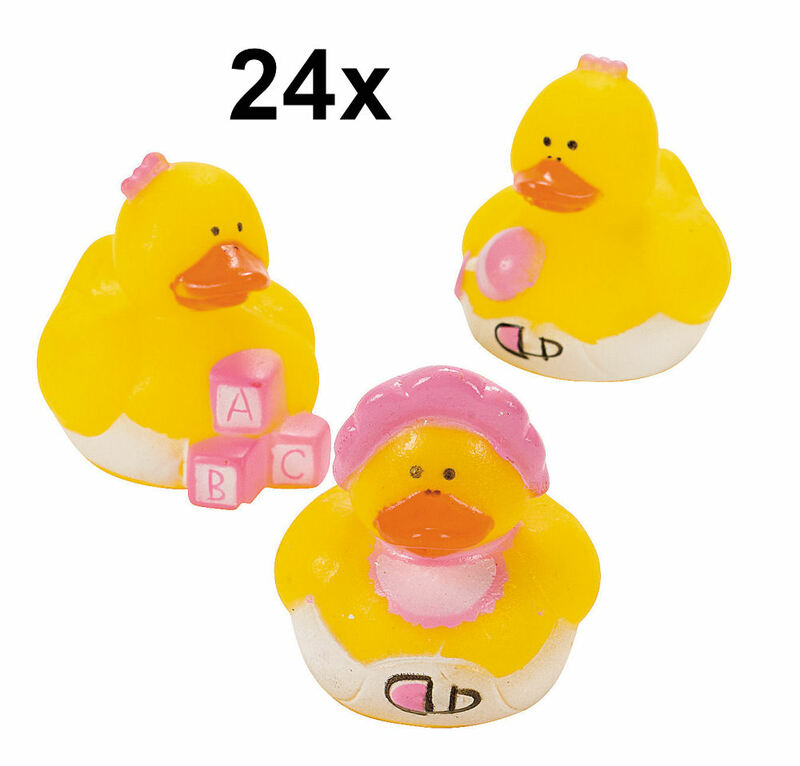 1 3/4 inch duckies do not float upright.